Want to Work at Ivy Creek? Aspiring farmers and people interested in local agriculture can join our team through our apprenticeships. We currently have two open positions for our 2019 season- one for an assistant farmer and the other for an apprentice. These new staff members will be joining our crew leader, field manager, and the farm owners in their work at Ivy Creek this season. All of our farm workers learn about organic production of vegetables, fruits, flowers and shiitake mushrooms in a beautiful setting 25 minutes north of Asheville, NC. Our crew members are an integral part of greenhouse production, planting, field cultivation and weeding, harvesting, selling, and packaging products. They work with us in the field and on the farm, five full days a week and rotate selling with us at market on Wednesdays and Saturdays. If you are interested in joining our team, we encourage you to review the descriptions below and determine which of our positions is right for you. Our 2019 Crew Leader position has been filled. However, we do have additional leadership roles open on our apprenticeship team that require previous experience and also lead to a deeper understandings of farming. 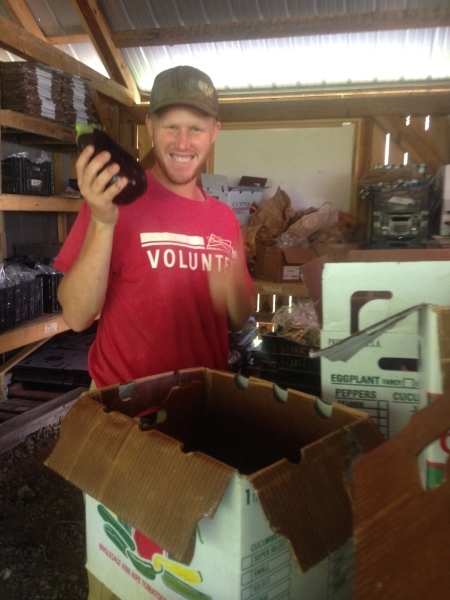 Responsibilities of apprentice leaders include propagation and greenhouse management, volunteer leadership, washing and packing house leadership, shiitake management, crop monitors, event point person, and general collaboration with farm owners. Apprentice Leaders participate in all farm activities, but have additional focused roles as well. It's also never too early to apply for our 2020 Crew Leader position. The crew leader works five days a week on the farm, with additional market responsibilities on rotating Saturdays and light farm chores on some weekends. We ask that applicants for the position have at least two years of experience working on farms. 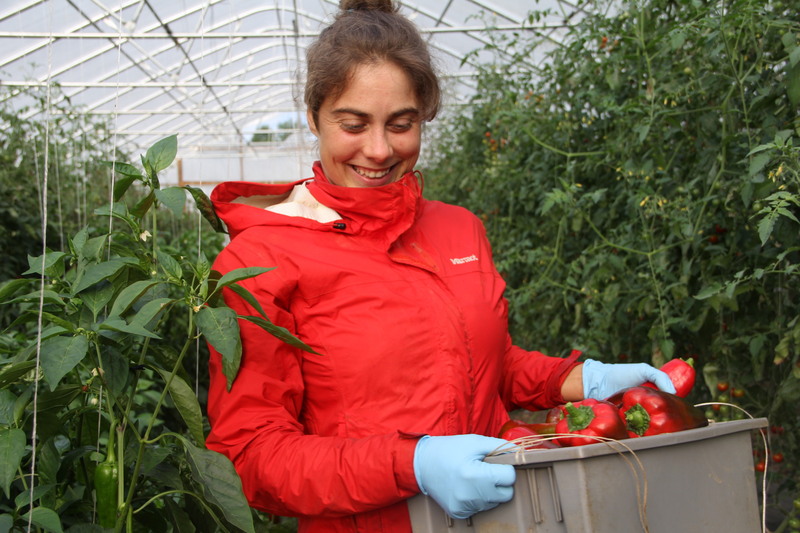 Preferred skills for the position include extensive field production and greenhouse experience, positive attitude, effective communication, refined time management skills, and a deep commitment to continued learning and to organic farming practices. The crew leader should enjoy a fast-paced environment. Compensation includes accommodations in a private home, a monthly stipend of $700-$1000 a month depending on experience, and year-round or multi-year employment if requested. Read more . . . In 2019, we have openings for two apprentices and apprentice leaders. Apprentices live on the farm and work with us five days a week with rotating Saturday market duties. We work side-by-side with apprentices and provide extensive training through the work we complete. In their time on the farm, apprentices learn about and then work at plant selection, seeding, plant propagation, greenhouse operation, soil preparation, planting techniques, cover cropping, weed control, pest management, irrigation methods, harvest skills and methods, washing and packing, marketing skills and more. Apprentices can expect long days in the sun and rain, hard physical work, and hours and days doing repetitive tasks. Compensation includes $400-$650 a month depending on experience, a private room in our apprentice cabin, farm seconds, and a food staples and a stipend for lunch. Apprentices have the opportunity to take on leadership roles within specific areas of the farm including mushroom production, propagation house management, and more. Email us us a cover letter telling us about your interest in working on our farm, your strengths and goals, and your farming experience. Include your resume and two references and email the information to Anna and Paul Littman at wncfarm@gmail.com.